In a typical work week, how much time do you spend sitting down? The average office worker spends about 5 hours per day sitting down, including work time, meetings, and lunchbreaks. For many Americans, it can be the majority of their working hours. But many people skip the process of finding a comfortable chair, which can end up costing them time and money. Imagine if you were on your feet for most of your work day; would you be satisfied with uncomfortable shoes? Or sleeping on an uncomfortable mattress every night? We view work seating in a similar fashion, and think it should be valued just as much. If you are not comfortable in your chair, more of your work time will be spent shifting, readjusting, and finding it hard to focus. Lost productivity is a serious side effect of uncomfortable seating. Say you make $25.00 an hour, based on productivity. If you spend 2 minutes an hour losing focus and readjusting due to an uncomfortable chair, that chair is costing you about $.80 an hour. In a 40 hour work week, that rounds out to about $33 a week; a price you pay just to have an uncomfortable chair. A good quality heavy duty office chair is an investment for those of us that need them. Being able to adjust height, tilt, tension, and lumbar support all make it easier to spend your time focused on working rather than losing focus. They are designed with a wider seat, that is specifically designed not to be constrictive. Heavy duty office chairs also have a higher maximum seat height, helping save the knees of those with longer legs. Most importantly, they are fitted with extra cushion and padding. 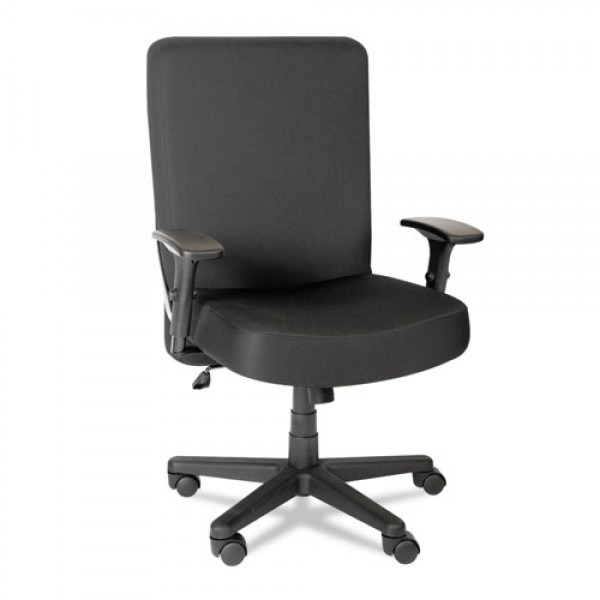 Heavy duty office chairs often have a higher grade and quality of parts. From the screws to the frame work, they are designed for longevity and durability.